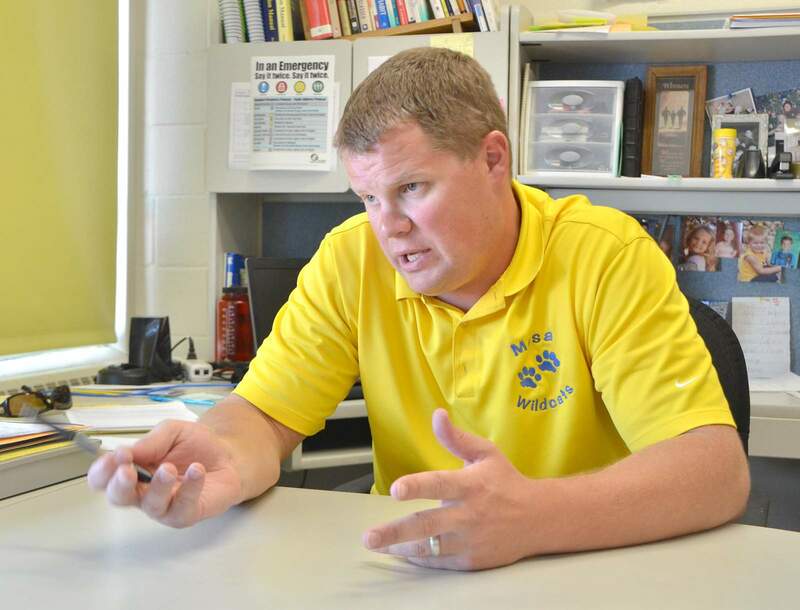 Jason Wayman has served as Montezuma-Cortez High School principal since 2012. He has announced that he will leave the district at the end of the school year. Montezuma-Cortez High School will be seeing some new leadership soon, as Principal Jason Wayman has decided to step down at the end of this school year. Wayman stepped into the M-CHS principal role in 2012 after having served as principal and assistant principal at Mesa Elementary. Earlier in his career, he taught at Cortez Middle School. He is a Cortez native himself, having graduated from M-CHS in 1998. He holds a bachelor’s degree in math and teacher education, a master’s degree in educational leadership and a doctorate of education in leadership with an emphasis on educational leadership and curriculum. Haukeness’ emailed letter lauded Wayman for expanding certain programs and credited him with helping to raise the high school’s graduation rate. Haukeness said the district is beginning a search process for a new principal, adding that staff will put together a team of educators and parents to assist with the process.